A letter from the February edition. Scrolling through Facebook on Saturday 5 and Sunday 6 December 2015 my newsfeed was full of posts such as ‘I can’t quite believe it’s happening again’ and ‘oh not again…stay safe’. These were in response to Storm Desmond, which resulted in 4881 homes in Cumbria being flooded and 6455 being affected, and my thoughts immediately went back to the floods of 2009. Living in West Cumbria at the time of the 2009 November floods and West Cumbria shootings in 2010, I observed that the community appeared to respond remarkably to these shared traumas. Whilst studying my Master’s in Psychological Research Methods at Lancaster University I chose to focus my dissertation on this issue. Through semi-structured interviews with those affected, evidence of community resilience as defined by Hawkins and Maurer (2010) was reported (through utilising bonding, bridging and linking social capital). Examples of bonding emerged in relation to the immediate response to the floods; for example, offering neighbours accommodation immediately. 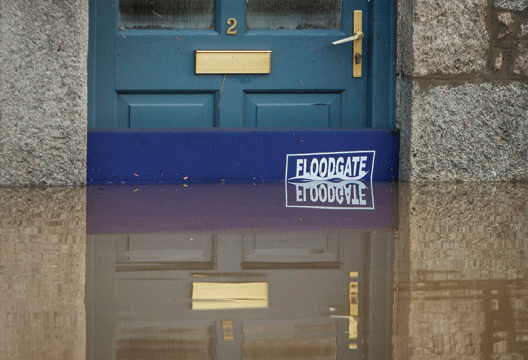 The response to the floods presented examples of bridging through different communities (e.g. neighbouring pubs supporting one another in clearing out flooded cellars), and the way in which different elements of a community linked was also notable (e.g. a local housing association working with Age UK to ensure that older people were receiving the information and care they needed). However, there were fewer examples of linking social capital, and these were mainly top-down activities. Following Storm Desmond, it has been interesting to reflect on how the community is responding, particularly in how social media is being used. In the 2009 floods I recall people sharing their thoughts and photos, but this time people are utilising social media to harness their community resources. On Saturday several Facebook groups were created as an information source, which was keeping people up-to-date with the flood defence levels, and later with what roads were closed. People who were stranded outside West Cumbria were posting in these groups, and strangers were opening their homes for people to seek shelter. There are now several groups organising support for those affected, coordinating the collection and distribution of physical resources. Along with bonding and bridging capital, the responses of Storm Desmond provided examples of linking social capital, in the form of social media groups, where individuals from a range of backgrounds were mobilised to support those affected. The above provide examples of key developments in the way social platforms such as Facebook and Twitter have helped people join together in the face of adversity, galvanising strength and utilising resources, both in and beyond the community. As the community embarks on the clean-up following the floods, it would be useful to consider how social media might provide opportunities for linking social capital, to promote optimal response, and as the response to Storm Desmond provided opportunities to coordinate rescue efforts through social media, how these platforms could be used to support longer-term recovery work. Hawkins, R.L. & Maurer, K. (2010). Bonding, bridging and linking: How social capital operated in New Orleans following Hurricane Katrina. British Journal of Social Work, 40, 1777–1793.